The Dolphins, who own their own stadium, want $400 million worth of upgrades. And they want Miami-Dade County taxes to foot the bill for half. The excuses are familiar—we want to host Super Bowls, we could move to Los Angeles instead—but the battleground is unique. South Florida residents were burned by a sweetheart deal for Marlins Park that their grandchildren will still be paying for. Dolphins lobbyists have been pushing hard for a bill that would pay for the stadium with a raise in hotel taxes and an annual sales-tax subsidy, and today the bill was unanimously approved by a state senate committee. That's a major hurdle to clear, but today also saw the introduction of an even bigger one: the taxpayers themselves. 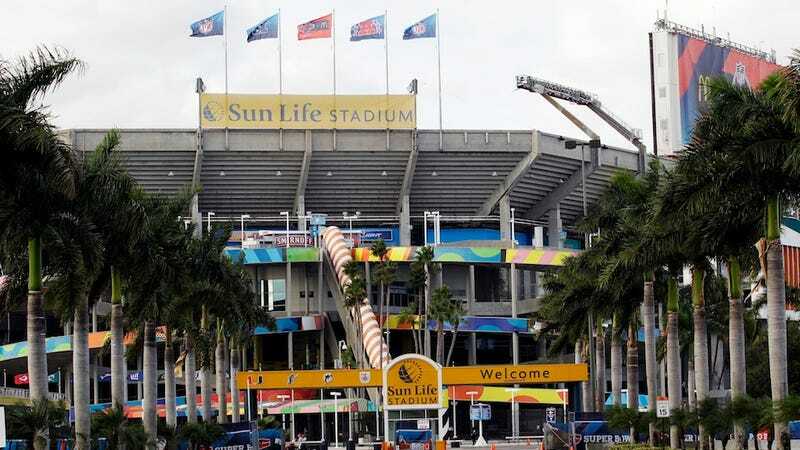 The bill picked up an amendment this afternoon, that will require a referendum before any tax money is put toward Sun Life Stadium. And from current public sentiment, that'll be a hard sell. A poll, conducted earlier this week by a professor at FIU, finds that 73 percent of likely voters oppose the deal. "There's not one group of likely voters who supports this idea," Moreno said. "Even in County Commission District 1, where the stadium is, people are overwhelmingly opposed." Opposition cuts across demographic and party lines. It is highly unpopular in each of the county's 13 commission districts. Overall, nearly 61 percent of people polled strongly oppose the measure, while nearly 12 percent simply oppose it. Only 17 percent support or strongly support it. Miami-Dade Mayor Carlos Gimenez, who got the job after his predecessor was recalled over the Marlins stadium financing, says letting voters decide where public funds go (a novel idea!) could be a dealbreaker. "These numbers don't surprise me," the mayor said. "The Marlins deal is the elephant in the room. It poisoned any effort like this for any future sports franchise. Before this poll, we didn't even know if we were going to reach an agreement with the Dolphins. Now the path is even tougher."